© Hannah Mckay/Reuters Foxes are a common sight in London (even in the nicer neighborhoods), bold enough to trot down sidewalks and through parks, particularly after dark. For years, people in and around London suspected that a deranged sadist was behind hundreds of cat mutilations, the grisly evidence strewn around their streets and yards. But after a three-year investigation, the police revealed on Thursday that the likely culprits behind these inhuman acts were, in fact, inhuman: foxes. Focused on Croydon, a community south of central London where the disturbing finds were most common, the investigation included post-mortem examinations of cat carcasses found in the area, and involved animal welfare groups and veterinarians. In the end, detectives concluded that the cats were not killed by humans, at least not intentionally, but were more likely hit by cars and trucks, and later scavenged by other animals. 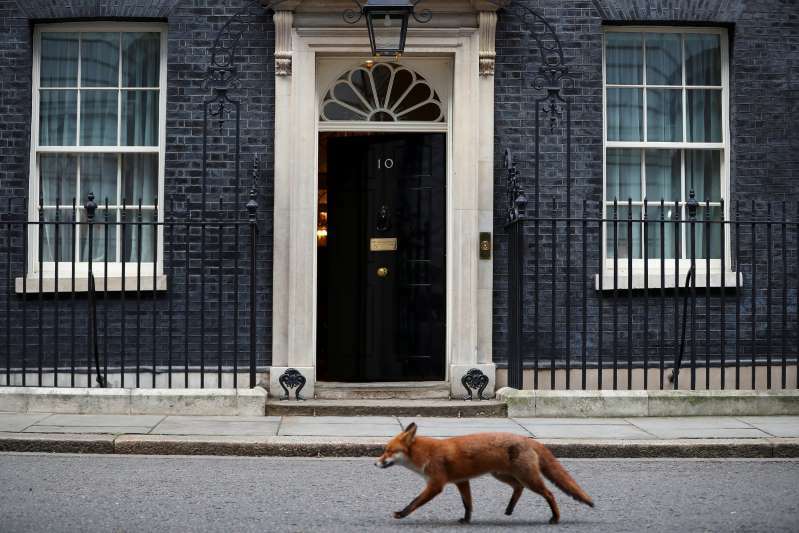 Foxes are a common sight in London, bold enough to trot down sidewalks and through parks, particularly after dark, and even when people are nearby; by one count, the city is home to 10,000. The Metropolitan Police said that there had never been any evidence that a person was attacking and dismembering cats, but news reports of a “Croydon cat killer” or “ripper” led to widespread public concern about the cats in the area, and resulted in more people coming forward with allegations. In all, more than 400 cases were reported, in several parts of London and the surrounding counties. Christina Cansick, a South Croydon resident who has twice found mutilated cats in her front garden, said the resolution of the mystery was a relief. “We all imagined there was some psycho serial killer behind this whole thing who came out in the middle of the night and decapitated our pets,” she said. Many residents said they believed the killings were systematic because most of the recovered cat bodies were either decapitated or dismembered. In addition to the post-mortem examinations, closed-circuit-television footage obtained in three cases showed foxes carrying the body parts of the cats. The Metropolitan Police also sought expert opinion, noting a recent New Scientist article that highlighted how wildlife often scavenged roadkill, regularly moving the bodies and removing heads and tails of dead animals. An independent examination by the local charity South Norwood Animal Rescue Liberty came to the same conclusion, after 25 post-mortems on cats found the cause of death to be “blunt force trauma,” such as collisions with vehicles, and the mutilations to be caused by a sharp implement. Despite the extensive investigations into the phenomenon, some residents said they were not convinced by the conclusion. “Many of the cat parts were left on their owners’ doorsteps. Only a human can be that strategic,” said Lizzie Grench, 44, who in 2016 witnessed a neighbor opening her front door to find her cat’s body laid out on the doormat. “I think the police are just stretched as it is and don’t want to bother with this anymore,” she explained. “There’s a lot of crime in Croydon and they are short-staffed.